Concert for Common Ground on the Hill. at Brown Memorial Woodbrook Presbyterian Church, 6200 N. Charles St. at 8pm. Tickets $19. Concert series for Common Ground on the Hill at the Carroll Arts Center, 91 W. Main St. Tickets $19. Workshops & Concert sponsored by the Northern NJ chapter of the American Harp Society. 2 Workshops from 1:30-5pm and Concert at the Union Congregational Church, 176 Cooper Ave., Montclair at 7:30pm. Tickets $20. Package pricing for workshop attendees: 2 workshops plus concert for $65. Concert at the Cumberland County Performing Arts Center at 3pm. Tickets $10. Concert at the Princeton Public Library, 165 Witherspoon St., at 7pm. Workshops from 10am-noon and 2-4pm. Cost $40 ea or $70/both. Private reisdence. House concert start 7pm. Tickets $15/ea. Contact Regina Delaney for details and to get directions at 603-502-7698. Performing a concert at Del Rossi's Trattoria Restaurant, Rt. 137. Tickets $15. Call 603-563-7195 to reserve tickets. Workshops at Han Dun Studio, 387 Nathan Ellis Highway (Rt 151) with Grainne at 1pm and William at 2:30pm. $30 per workshop, paid in advance. Contact Tricia Hotchkiss to sign-up. and give preferences on topic choices. Limited to 10 people. Concert for the Woods Hole Folk Music Society at Woods Hole Community Center, 68 Water St., at 7:30pm. Tickets $15, $12/members. Harp workshops with the artists at the Unitarian Universalist Fellowship Hall, 1015 N. Hyland Avenue. Cost $30/per workshop. Contact Barbara Evenson, 515-233-2773, to sign-up. Concert at at the Unitarian Universalist Fellowship Hall, 1015 N. Hyland Avenue, at 7pm. Tickets $15. Contact Barbara Evenson, 515-233-2773, for information.. The Mad Harpers present a concert at Midvale Lutheran Church, 4329 Tokay Blvd, at 7:30pm. Tickets are $15. Contact Rachel Avery. Workshops 6:30-9pm at the First Unitarian Meeting House, 900 University Bay Dr. $30 per workshop. Contact Rachel Avery. Workshops at the home of Anne Valdes from 7-8:30pm for 2 levels of players. Contact Ann at 412-661-3474 for details and to sign-up. Cost $30. Concert for Calliope House at the Pittsburgh Center for the Arts at 7:30pm. Tickets $20. The Philadelphia Ceili Group presents "Influences from the West of Ireland Concert Series" at the Irish Center, 6815 Emlen St. at 8pm. Concert Tickets $13-15. Workshops from 3-5pm, free to PCG members. Annual memberships can be purchased at the door for $15. Performing at the 38th annual New Jersey Folk Festival on the Douglass campus at Rutgers University. They'll be on the Skylands stage at 1:30pm. All day festival. Rain or shine. Concert at the Irish American Assn. of Northwest Jersey clubhouse, 352 Richard Mine Rd., at 8pm. Tickets on a first-come basis: $20 or $15/members. Contact Iris for more information. Performing at the grand opening of the new Cape May Convention Center for the 23rd annual Cape May Music Festival, sponsored by the Mid-Atlantic Center for the Arts. McDermott's Handy will be opening. This inaugural event for the Convention Center will be free but you should reserve tickets by calling 609-884-5404. Concert at 8pm. House concert at 7:30pm in Monroeville. Contact Martha Wright at (856) 278-4971 to reserve a seat and get directions. Tickets $15. You Gotta Have Harp sponsors workshops from 1-4pm. Contact Kathy at 856-795-7637 to register. $30/workshop. Aanchoring an Irish session for Reunion Weekend at Princeton University at 7:30pm. Session at O'Lordan's Irish Pub, 14 Liberty Street at 9pm. Concert at the White Horse Black Mountain, 105 Montreat Road, at 8pm. Tickets $15. 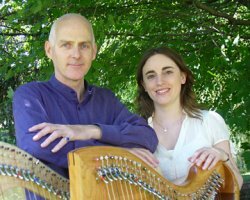 Workshops and concerts at the Somerset Folk Harp Festival. In concert on Saturday night. Performing and teaching at You Gotta Have Harp's Harpers' Escape Weekend. 20th great year. Sign-up in advance only. Performing at the Monroe Township Public Library, 4 Municipal Plaza, Monroe Township at 2pm. Call (732) 521-5000 for more information. The Institute of Musical Traditions harp concert series at the Takoma Park Community Center, 7500 Maple Ave., at 7:30pm. Tickets $18. Concert at the Ronceverte Presbyterian Church, 305 Locust Street, at 3pm. Tickets $10. Workshop at 7pm, The Collections of Edward Bunting, at $30/per person. Contact Leah Trent at 304-661-3877 to sign-up for workshops. Private lessons on Monday morning also available. House concert at 7:30pm. Tickets $20. Advance reservations a must & directions provided with reservations. Call Beanie at 828-277-9160. Concert for Madison Scots at the First Presbyterian Church, 1573 N. Highland Ave. at 8pm. Workshops and concert at the Atlanta Harp Center, 11775 Northfall Lane. Workshops 2-5pm. Register in advance please. Concert at 7:30pm. Tickets $15. Call 770-619-2920 for details. Concert at the Church of Our Savior, 4227 Columbia Rd. at 7pm. Contact Lillie Morris for information. House concert for Larry Mallette & Therese Honey. Seating limited. Advance reservations suggested. Tickets $20. Email Larry . Grainne will be teaching at O'Flaherty's Irish Retreat. Register in advance please. 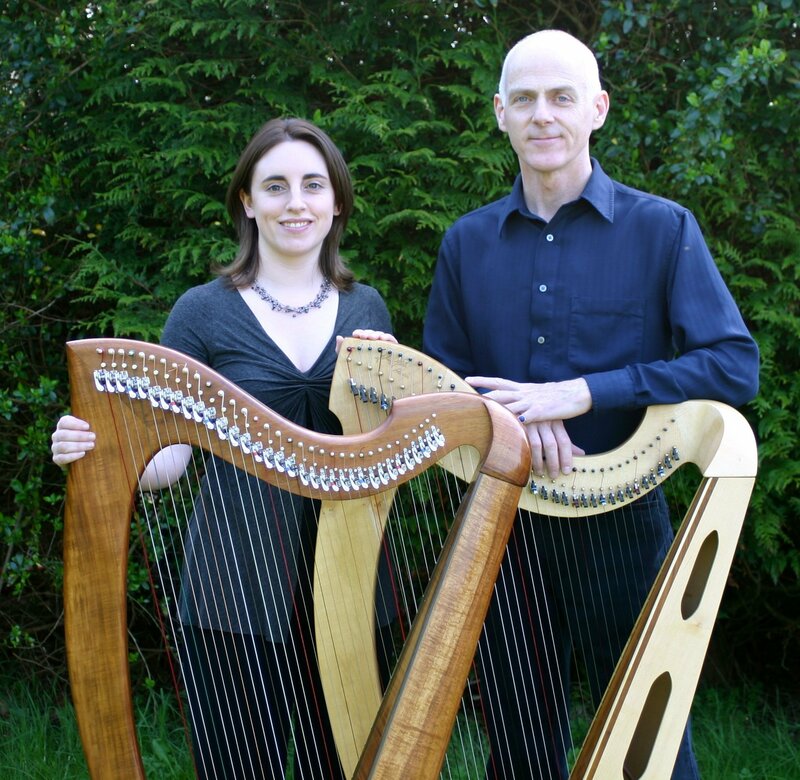 The Traditional Irish Music Education Society presents a house concert at 7:30pm. Tickets $20 in advance by reservation only. Contact Peter Hajek. Copyright 2012, You Gotta Have Harp Productions.